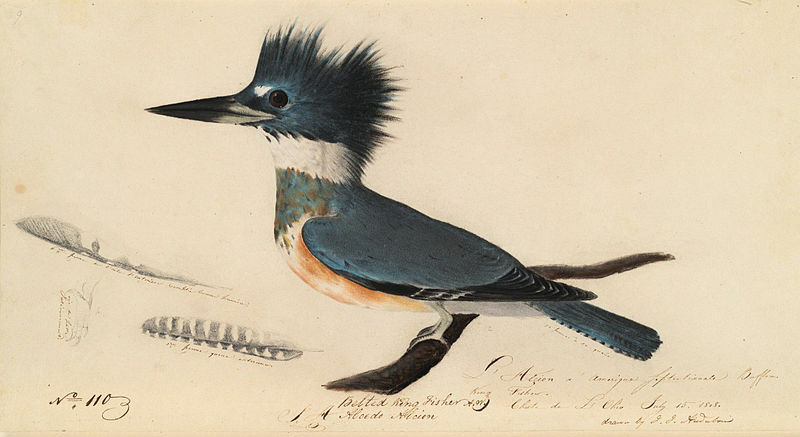 John James Audubon was fascinated by birds. He loved to watch them from his boyhood and, as an adult, became determined to study them and document all he learned. He tied yarn to birds’ legs and determined that the same birds came back to nest seasonally. He observed their behaviors and wrote down all he saw. He was also a skilled taxidermist and helped to set up animal displays in museums. He became determined to make an accurate portrait book of the birds he saw in America. He set a goal to paint one picture every day as he traveled and observed birds. He made over 700 pictures and called his book Birds of America. It was a hit and went into production to be sold in America and Europe. Try your own bird paintings. Use a pencil to sketch, then watercolors or tempera paints and oil pastels to add the color. Begin by looking at one of Audubon’s bird pictures. Turn it upside down and sketch what you see. (When kids sketch based on an upside down drawing you eliminate pre-conceived notions about what the animal looks like. You focus on the actual shapes and curves, and it’s usually more accurate.) Once the sketch is done, turn it over back over and add color. Outline using a black oil pastel, then fill it in with watercolor paints. You can leave a tiny white border around the perimeter of the bird, but then fill in the rest of the background with a bold color for visual interest. The background is best done using tempera paints. While your painting dries, take some time to find out more about your bird species. Look up information on your species and write down some things that make it unique. Where does it live? What does it eat? Where does it fit in the food chain? Does it have any interesting habits? Find out all you can and share your painting and new-found knowledge with someone. I’m totally pinning this! Beautiful post. thanks! I stopped past to say that I’ve nominated you for the Super Sweet Blogger Award on my blog today- Have a great Monday!